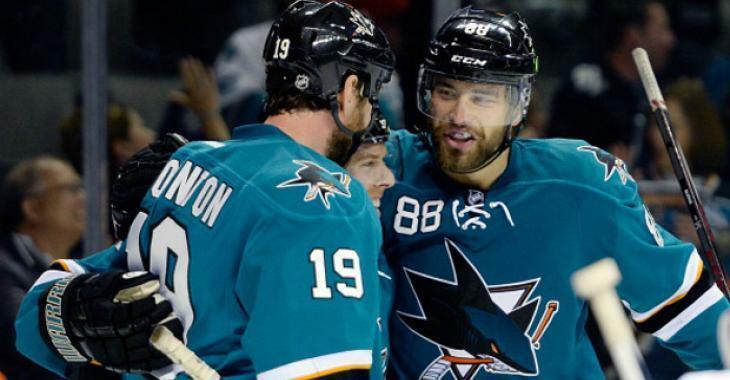 NHL News : The Sharks aren’t done making major moves! The Sharks aren’t done making major moves! Should they be handed the Cup right away?! Wow! Are you now able to shake off the fact that the San Jose Sharks managed to pull a blockbuster trade for all-star defenseman Erik Karlsson? While the Sharks also got prospect Francis Perron, in return, the Senators received forward Chris Tierney, defenseman Dylan DeMelo, prospects Josh Norris and Rudolfs Balcers, a 2020 first-round pick, a 2019 second-round pick, and two conditional picks. Is that all it took or does Sharks general manager Doug Wilson have a secret weapon in hand? According to NHL insider Elliotte Friedman, the Senators were doomed to lose as soon as talks started with San Jose. Here is what he had to say of the Sharks GM during his 31 Thoughts: The Podcast on Thursday. With this in mind, Friedman came out stating that he wouldn’t be surprised if Wilson wasn’t good making major moves this season. “I think they know they’re all-in, and they’re going to go out and they’re going to get somebody else at some point, maybe a center. They’re all-in it for this year. Last week, NHL insider Darren Dreger of TSN reported that the Sharks are expected to go after a top centre to bolster their offense. While shopping for a top-six centre in the National Hockey League during the season, the Sharks plan on feeding off the Karlsson trade and making another move up front.